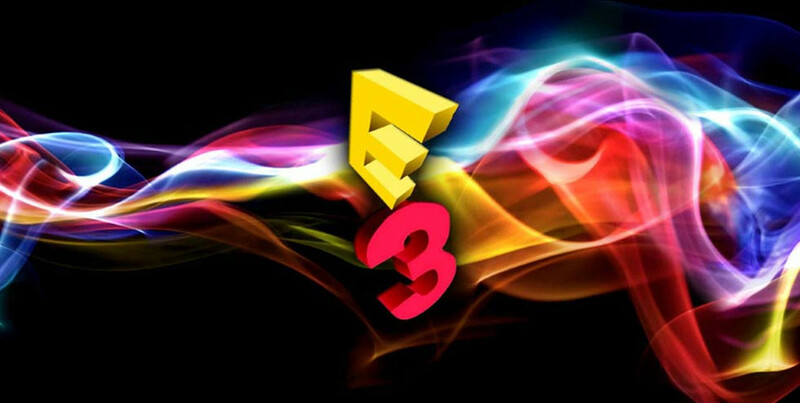 Andrew Todd gives a rundown of the best announcements from the biggest day of E3 press-conference madness. After Bethesda's impressive pre-E3 presentation, the pressure was on for Microsoft, EA, Ubisoft, and Sony to follow suit. While Ubisoft's press conference was a near-complete fizzler, filled with retreads of tired franchises and gameplay concepts, not to mention the show's most awkward presenter jokes, the other three companies managed to impress at least once each – and some much more than that. Here are my top ten favourite things from the first "real" day of E3 2015. The PlayStation 4 can now stream video and audio over networks, and play content from a USB stick. At last. I'm genuinely happy about this, as it makes my entertainment system more self-contained, but I still have to snark: welcome to 2005, Sony. When the new generation of consoles was announced, backwards compatibility wasn't even something that was under consideration – in public, at least. After all, there's more money to be made selling new games (or remakes of old games) than just letting people play their old games on a new system. But desperate times call for desperate measures, and a lagging-behind Microsoft clearly pulled finger and made backwards compatibility happen. It might be too late for it to have a substantial effect on sales - many gamers have already bought their new-gen consoles - but it's a "better late than never" feature that it's nice to have. Having a woman of colour - let alone one as talented as the great Angela Bassett - playing the person in charge of Tom Clancy's titular counterterrorist group makes me slightly more likely to want to play the game. Better yet, Bassett joined Ubisoft's event host Aisha Tyler on stage, marking probably the first time an E3 conference has ever passed the Bechdel test. Shame about the rest of the conference, but Ubisoft rightly enjoyed that one shining moment. Admittedly, I'm an easy mark on Mass Effect. It's probably my favourite game series of the last decade at least, and BioWare have yet to let me down with a single-player RPG. The prospect of exploring and likely saving an entirely new galaxy is appealing, even though the trailer made the gameplay seem overly familiar. I'll need to see more to pass more comprehensive judgement, but this was never not going to be on my anticipated list. One of several new IP announcements at the trade show, Horizon: Zero Dawn somehow managed to be impressive even within the now well-trodden third-person action-adventure genre. The setting – a post-apocalyptic future where humans have reverted to tribal cave-dwelling – is intriguing by itself, but the addition of a female protagonist and robot animals gooses it up a few notches. I repeat: robot animals. And colours! Such lovely colours. EA's presentation, like many others, was laden with franchise instalments and remakes. But nestled in between the likes of Star Wars: Battlefront and Plants vs Zombies: Garden Warfare 2 was this adorable little gem of a trailer. Puzzle-platformers have proliferated over the past several years, but every so often one comes along to reignite passions with a fresh style or an exciting new mechanic. Unravel has both. Confession: I've never played Final Fantasy VII. I was precisely the right age to do so, but didn't own an original PlayStation, so it slipped by. An HD remake is precisely the excuse I'll need to dive into the legendary RPG, and I suspect it'll be more than enough reason for nostalgic former players to play it all over again. It remains to be seen whether it's a straight graphical upgrade or a re-imagining (in mechanics and/or story), but regardless, I don't think I've seen an E3 crowd more excited. Media Molecule always produce interesting, unique work, and if the reveal is anything to go by, Dreams is no exception. I still don't know exactly what it is, but I know I desperately want to play it. It's one of many games this year to foreground user-created content – this one putting emphasis on creating your dreams, through a combination of motion-control sculpture and God knows what other mechanics. It looks like the next evolution of the Little Big Planet / Project Spark create-a-game concept, and it also looks absolutely beautiful. It's been in development for the better part of a decade, and is perhaps second only to Half-Life 3 as Game Most Criticised As Vaporware, but The Last Guardian still elicits gasps whenever it's shown. This was the first time it's been officially mentioned by Sony in years, and even if no firm release date was announced ("2016" is the best we get), it's heartening just to know it's still being actively worked on. Every so often, a piece of technology gets shown off in a demo that's so amazing, you can't believe the product can possibly be that good. Microsoft's HoloLens was that product this year. Their Minecraft demo was simply sensational, the player's world springing out of a table like an Avatar holo-table. It's the kind of demo, much like anyone's first experience with VR, that makes your mind race with the possibilities of the technology. VR may have had a large presence at E3 this year, but it's almost taken for granted now – the HoloLens was sufficiently new and great to amaze everyone who saw it. What's in your Top 10? Let us know below!